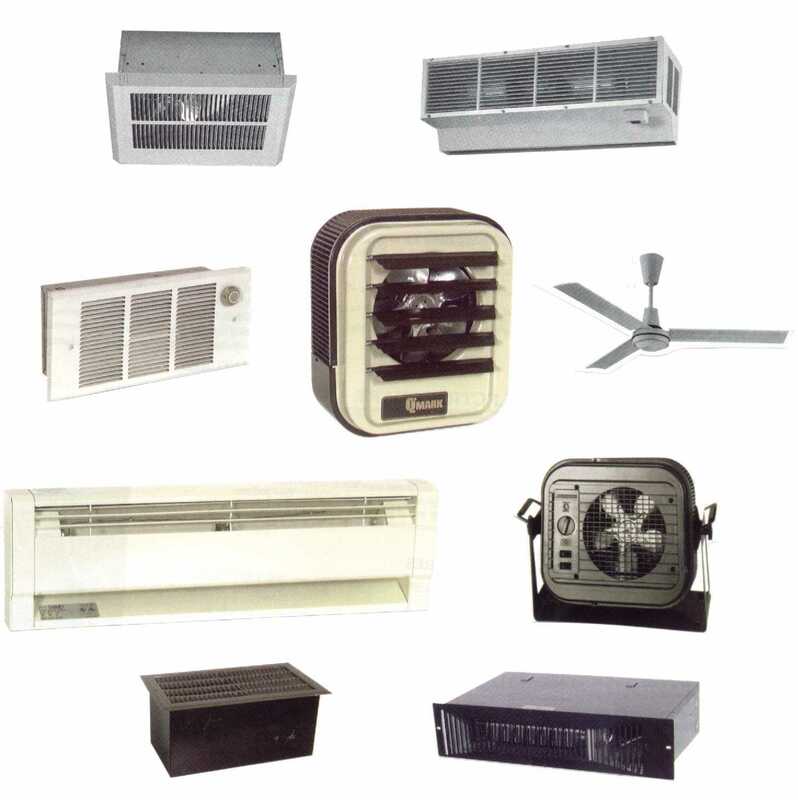 Residential and commercial wall heaters, kick space heaters, drop down ceiling heaters, radiant ceiling panels, ceiling paddle fans, commercial unit heaters, portable heaters, baseboard heaters, washdown heaters, architectural heaters, cabinet unit heaters, downflow heaters, air curtains and much more. Applications include residential, commercial and industrial areas where heat is required to fill a special need. For specifications and information on any of the Qmark electric heating products, please contact us.